The PADI Open Water Diver certification course is the world’s most popular scuba course and has introduced millions of people to the adventurous diving lifestyle. Earning the certification is a combination of learning the basics during theory sessions (either online or with an instructor), practicing skills in confined water and then completing four dives in the sea to a maximum depth of 60ft/18m. 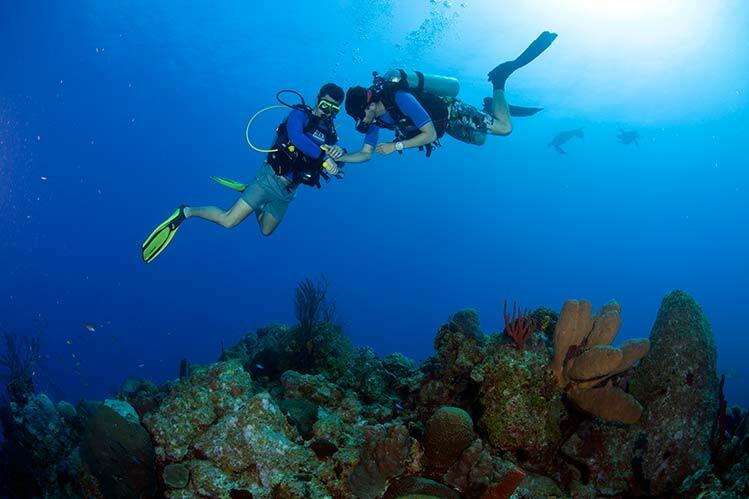 If you’ve tried diving through a Discover Scuba Diving experience or resort course, the skills you learned may be credited toward a portion of the full PADI Open Water Diver course certification. To enroll in the PADI Open Water Diver Course or Junior Open Water Diver course, you must be 10 years or older (PADI eLearning requires an extra registration step for students under 13 years due to international internet laws). Book Online Now to get started on earning your certification today!